An artistic collaboration between London Group member Victoria Arney and artist Susan Dalladay. The Bambouseraie is a beautiful garden near Anduze and was created in 1902 – and made a national monument in 2008. 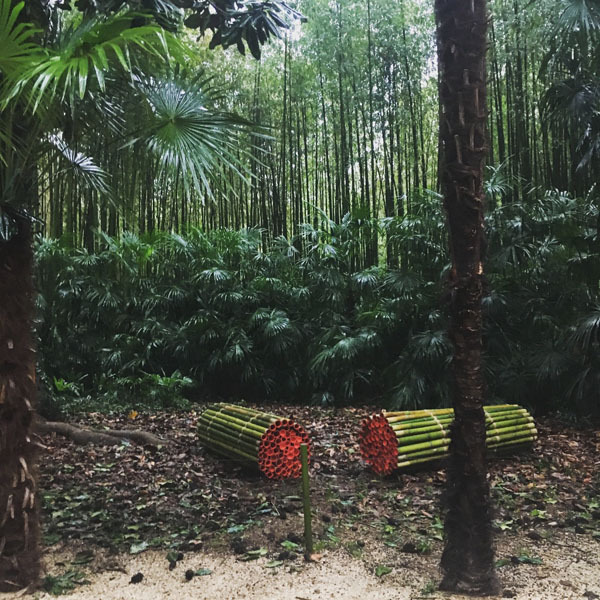 It cultivates hundreds of different species of Bamboo and every year invites artists to respond to its unique environment. It is a meeting place for Artists and botanists, with over 20,000 visitors every year. 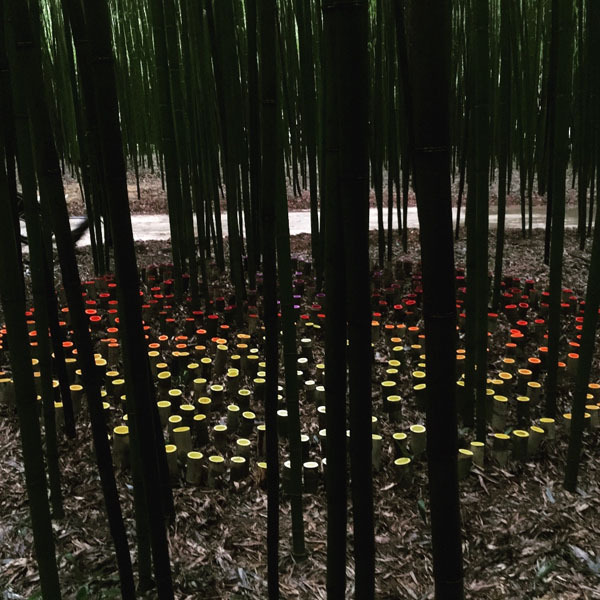 The main task was to make sculptures out of Bamboo that could last outside for 7 months. We drew up several simple forms that we wanted to place in the garden. We wanted to bring colour to this project as the overall aspect of the garden is intensely green and vertical we wanted to challenge and echo certain colour combinations within that. So we created three works that look at colour and light in different ways. Our idea was always to try and use the interior circular form within the bamboo and use the depths that are created when you cut it to play with the colour and light. 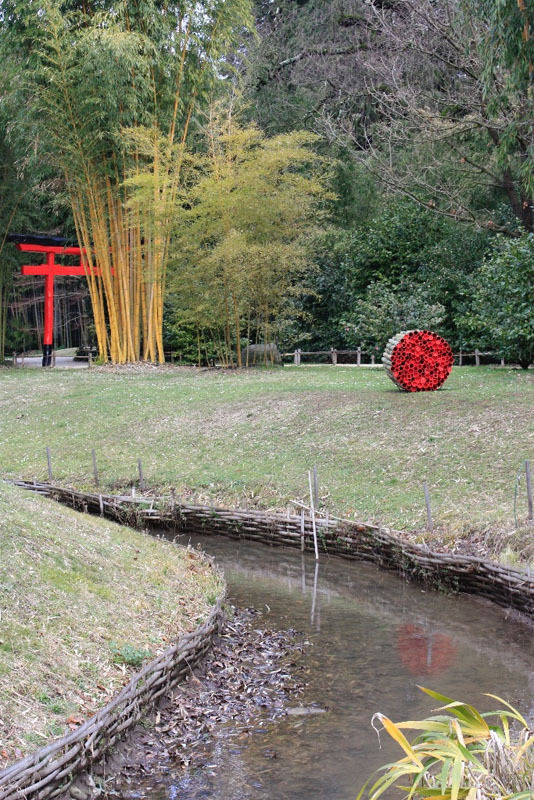 Parts of the sculptures were painted Saffron and Red. Both these colours are important in Asian culture. The intensity and depths of the colour change with the light during the day.